To say that New Zealand offers a traveller all the experiences they could imagine and more is an understatement! You could return to this wondrous country again and again and still find things you have not done or experienced. It is a destination where you will stare in disbelief at the sights it has to offer and gasp at all the possible things you can do. New Zealand offers everything – beautiful golden sandy beaches, awe-inspiring mountain views, delicious wine and food, a vibrant culture, amazing shopping experiences, and more – not to mention the wonderful climate. New Zealand has a beautiful natural landscape, but unlike some countries, the cities and towns have a lot to offer a tourist. Cities like Wellington, Queenstown and Aukland offer a wonderful array of shops, a huge choice of good restaurants and something to do nearly everywhere you turn. 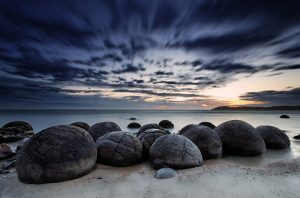 Of course, the first people to settle in New Zealand were the Maori people. Tamaki Maori Village in Rotorua is one of the best places to explore the Maori culture. You can get a real feel of Maori life by touring the village and experiencing a Maori “hangi” (meal). If you want to delve further, the Museum of New Zealand – Te Papa Tongarewa, in Wellington is a fantastic place to discover more of the Maori culture. If by any chance you are visiting Dunedin, you could find out more about the days of the Scottish settlers at the Otago Settlers Museum. All in all, New Zealand’s museums will fill in any “gaps” in New Zealand’s culture and history. New Zealand obviously conjures up images of golden sandy beaches and clear blue water and any traveller will not be disappointed by the wide range of water sports and outside activities available. The North Island is well known for its mountainous landscape where it is commonplace to see bubbling pits of mud or geysers! This is a vast contrast to the golden sand and blue waters image that everyone has, which emphases the great diversity this country has to offer. The South Island is home to the Southern Alps, which offer some of the best terrain for mountain climbing, hiking, mountain biking and skiing. Christchurch offers a host of activities, as well as being a base for whale watching trips at the nearby town of Kaikoura. 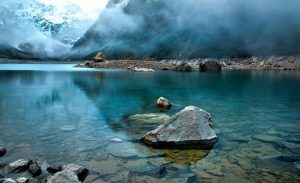 As already mentioned above, the variety of activities and sights to see in New Zealand is breathtaking and a very good way to get the most out of your New Zealand trip is to book one of the tours on offer. Whatever your passion, there is a New Zealand tour to match it!! Hiking tours, scuba diving tours, cultural tours, wine and garden tours, heli skiing tours, bicycle tours – these are just a taster of the tours that are on offer. If your passion is fishing, New Zealand is the place to be. You can try out the freshwater trout fishing at Lake Taupo, or maybe head out to sea to experience some saltwater fishing on one of the charters. The Bay of Islands, which is situated on the North Island, is home to the best sport fishing in New Zealand and attracts serious fishers. This only covers a very small percentage of what there is to experience in New Zealand and it would take too long to sum up what the whole experience could consist of. In reality, a “holiday” is simply not long enough to appreciate the wonders of this subtropical Nirvana and this is why a lot of people tend to take “time out” to travel this beautiful part of the world to fully appreciate its wonders.